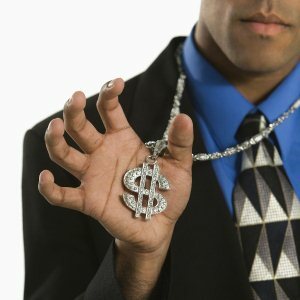 I came across an interesting website called ApplicationBling.com. The “bling” is a colorful Post-it note type of paper that clings to a job application and/or resume. The small attachment lists a candidate’s goals, top qualities and achievements. Similar to how a cover letter complements a resume, Application Bling is designed to make an individual’s application or resume stand out from the pile. The site was created by Angie Burton, an advertiser, print producer and mother of two. After seeing the difficulty her daughter faced applying for jobs, Burton came up with the idea to add “bling” to her resume in hopes of it receiving more attention. After adding the bling, her daughter was offered the next job she applied for. Burton’s site offers free downloadable templates for people to create their own bling. The template includes six medium-sized squares each with ‘fill-in prompts’ for your name, contact information, goals and qualities/achievements. Application Bling advises people print clings on a removable labels (in neon colors) so a hiring manager can easily peel off the bling without damaging the application or resume underneath it. The site also includes various testimonies of those who have used the product successfully; one account is even from a hiring manager. I thought this was a very interesting concept. Most everyone’s resume is on white paper with black words. It’s understandable how the appearance of common resumes can become redundant and boring. Imagine a recruiter sifting through a pile of resumes and—aha! —one has a bright neon pink paper attached to it. Don’t you think he or she would be inclined to pick it up? My concern about this ‘resume additive’ comes from our technologically-driven society. Most companies have converted to online employment applications. Even retail, food and beverage, and customer-service industry employers, such as Wal-Mart, TGI Friday’s and collection agency iQor, use online applications in the place of paper forms. Many companies also allow applicants to apply using their LinkedIn accounts. How effective can a site like Application Bling really be in terms of the current state of job hunting? The rules of what you should and should not include on your resume also pose a concern for me when looking at this tool. You’re often advised to omit certain things from your resume, such as a photo, fancy font types and colored fonts. Color is big when it comes to resumes—or the lack of color I should say. A white background with black font provides a polished, simple and professional appeal. This is why you don’t often see a resume on colored paper. Yet, the bling in Application Bling is a neon colored decal. It’s not the entire resume, but does adding that splash of color, even slightly, take away its professional appearance? As a job seeker, you’re always looking for ways to stand out from the millions of other applicants. I think Burton’s concept of quickly drawing a recruiter’s attention to a resume by focusing on key points (not to mention the bright colors) is wonderful. Sometimes the biggest task is getting a hiring manager to even look at your resume and added bling is sure to draw his or her attention. Yet, I’m not convinced this is the most important part; keeping a recruiter’s attention is the key. You can add some bling and make your resume eye catching, but it needs to be the content underneath that makes you stand out from the rest. As the saying goes: All that glitters isn’t gold.